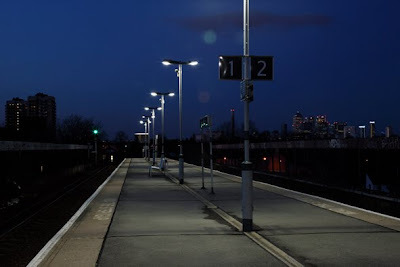 A friend asked me to take pictures to accompany a song about Queen's Road Peckham. We stood for hours on the platform waiting for dark to descend as he doubted my assertion that night shots should be taken at dusk and our oyster cards decided to rob us for not making a conventional journey. Against all the odds I actually like this shot. Sometimes it is good to do things against your will. the song!